This entry was posted in Emerging paradigm, Politics, Prescriptions and tagged Korten, money, power, Teague. Bookmark the permalink. Government is increasing taxes not on income but on real estate as non icome generating Homes…. This will be like the King asking the peasants for the King’s coins which the peasant does not have. Somewhat I am very angry at this deceit that will cause pain and useless suffering, but maybe we have to go through this pain to play the different game. At times I’d like to explain this deceit to everyone, but in the past I have always encountered resistance into contradicting common assumptions as “money”, People do not want to think at all. This might be just a rant but I’d like to play some role in helping my community and starting a local currency seems an impossible task. I’ve advocated “walking away from the king” for almost forty years. I think, however, that much wisdom is buried in the study of law as it evolved from early Anglo-Saxon times, along with concepts of trial by jury, grand jury, etc, that allow for the “vicinage’ to rule on community values. I think the present telecommunications systems is aiming us toward that objective. Your reference to “the “vicinage’ to rule on community values” sounds very interesting, can you give us any sources of information to learn more about this? It seems to me that the false money system which is the bedrock of a global monetary empire, requires the perversion of human law (i.e. that it becomes contrary to the greater law of creation). What we call law is mostly “legalese” – statutes that are really social contracts, based on the deliberate deception of one party (the people) by another party (a predatory elite), which have “the force of law” on the basis that the defrauded party (the people) have consented. In the increasingly pseudo-democracies of today, it seems that open-ended consent is being given by the citizen when he/she votes in elections once every 4 – 5 years, which allows the representatives of the exploiters (who falsely claim to represent the people), to create more and increasingly worse totalitarian statutory “laws” that enslave the people further. 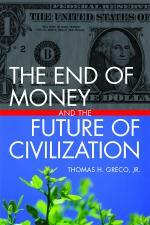 Hello Thomas, I have read your book some time ago yearning to clear my mind on what is money. I have worked on self sufficiency but now that the end of this fraudulent system could be near, my fear is that we are so much energy dependent. In the case we have power supply shortages it will be very difficult to survive. What do you think? Yes, Arnaldo, we need to invest our resources in making our households and communities more resilient and self-reliant. Part of that is creating decentralized power generation facilities, direct solar for heat and hot water, PV panels and/or wind generators for electricity, local ethanol plants for making liquid fuels from locally available feedstocks, etc. We should also invest in local farmers and food processors, preferably on a shared equity or cooperative basis. Thanks, what strikes me is that we have lost the memory of how People lived and thrived before our recent “culture” . It is like we are babies…. We need a process where we can support each other in going through the required process of individuation, in a way that helps us to overcome the powerful feelings of isolation and anxiety, so that we can enable ourselves to experience the necessary corresponding growth of our authentic human selves. Perhaps a process like the World Cafe – theworldcafe[dot]com?